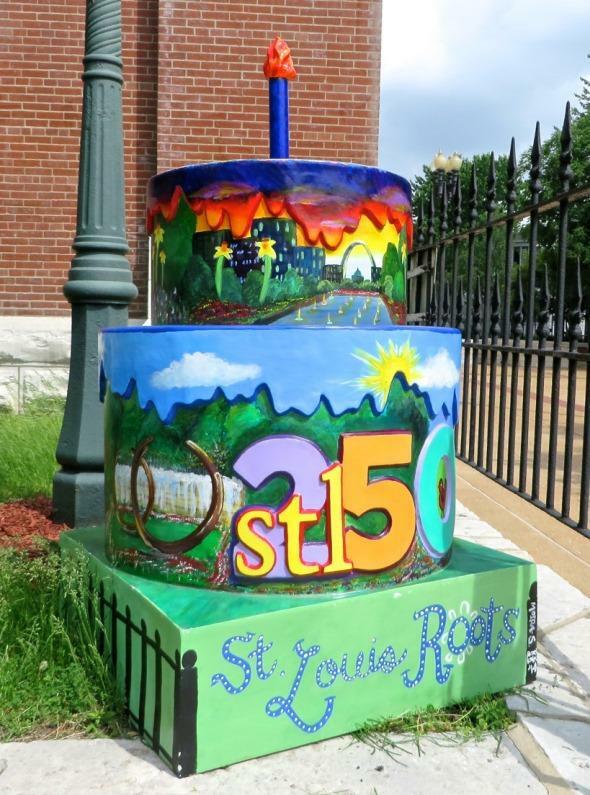 Approximately 250 fiberglass cakes are scattered throughout the St. Louis region. 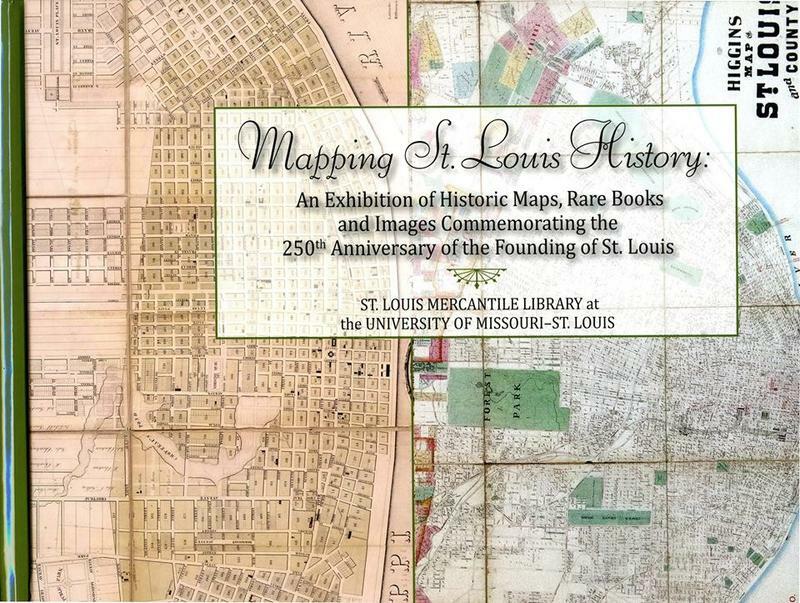 They’re placed at notable locations to commemorate the 250th anniversary of the founding of St. Louis. The fiberglass cake at the Shrine of St. Joseph is one of the stl250 sculptures up for auction. Sixty-seven of the cakes are part of an online auction that opened Monday and lasts through the end of the year. More may be added to the auction because each host location gets to choose what happens to their cake. Some of the sculptures for sale include the cakes located at the Missouri History Museum, Dogtown, Gateway Arch, The Hill and Lafayette Square Plaza. Erin Budde is the volunteer executive director of stl250, the organization in charge of the year-long commemoration. “We’ve had so many people that have been excited about the Cakeway to the West project. They’ve put a lot of time into cake hunting. This gives them an opportunity to own a piece of the historic celebration and at the same time raise dollars to help us build Founders Plaza,” Budde said. Founders Plaza is an initiative of stl250’s 1764 Society. The plaza will be around the statue of Pierre Laclede that’s near St. Louis city hall. “It’s a nice link to our past, a bit of continuity and will really build up the area around that statue and make it more of a destination and gathering place that could be a nice key element to a lot of celebrations that are downtown,” Budde said. Budde estimates the total cost of the project is $100,000, however some of that amount may come in the form of in-kind partnerships with architectural and engineering services as well as the city of St. Louis. A group of cake hunting fans who discuss and share memories about the stl250 cakes on Facebook is planning to bid on a number of the sculptures. Francine Case, an administrator of the group, said their hope is to have them displayed at public places, such as Union Station or Lambert - St. Louis International Airport, so that St. Louisans and tourists can continue to enjoy the cakes. Budde said she’s also heard a few ideas about what people plan to do with the cakes. They include making them into a planter, a backyard game of ring toss, or coffee table. 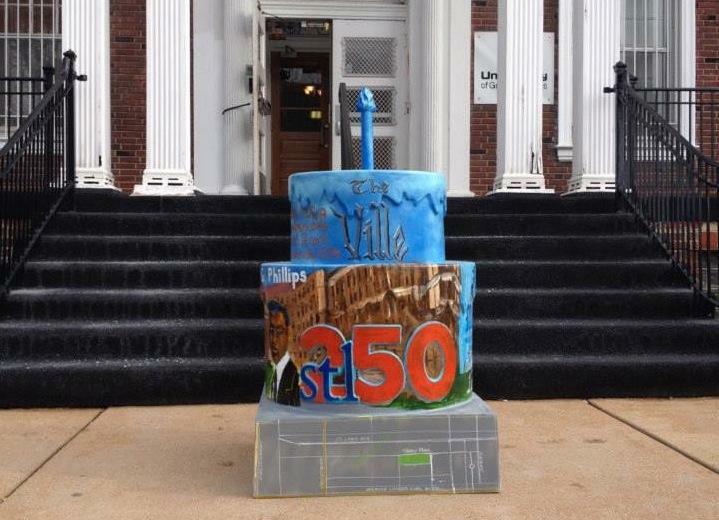 Forget the fluffy white or rich chocolate bakery versions — the cakes Page is interested in are 4 feet tall and scattered across the St. Louis region, part of STL250’s Cakeway to the West to commemorate St. Louis’ 250th anniversary. “I first found out about the cakes when I saw some of my friends posting pictures on Facebook,” said Page, a music teacher in the Wesclin School District in Trenton, Ill.
Cardinals Take The Cake — Why? 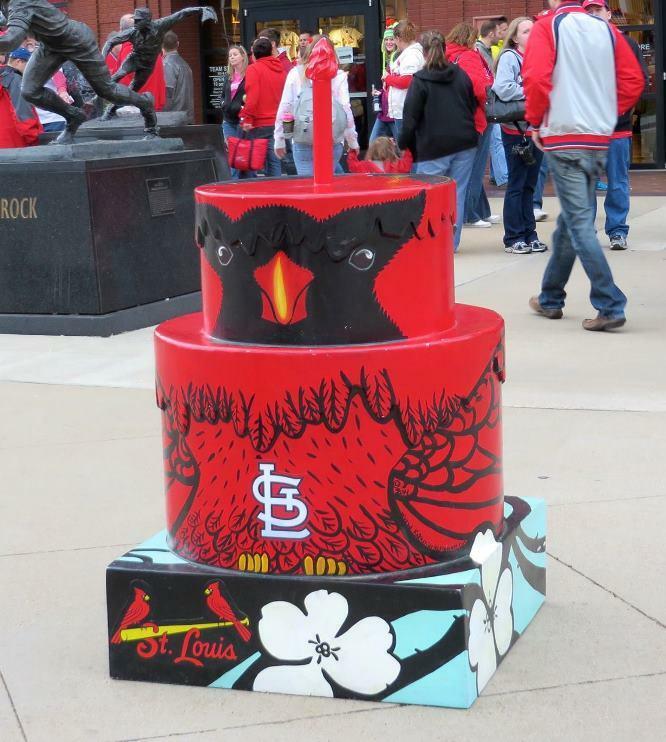 You’ve likely seen at least one by now — fiberglass cakes scattered throughout the St. Louis region. They’re placed at notable places to commemorate the 250th anniversary of the founding of St. Louis. There are 251 of the 4-foot sculptures. We’ve created a map that allows you to see the cake closest to you; and we profiled one woman who’s visited every cake.